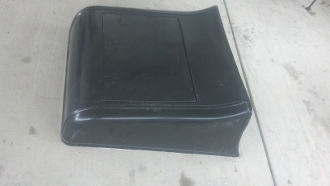 This all new, redesigned fiberglass Turtle Deck unit fits 1922-25 Model T bodies. Features a functional opening deck lid. Note: Hinge and latch hardware is sold separately.